Even though both auto loans and car title loans somewhat involve your vehicle, the team at Car-Registration.org notes that they are entirely different. 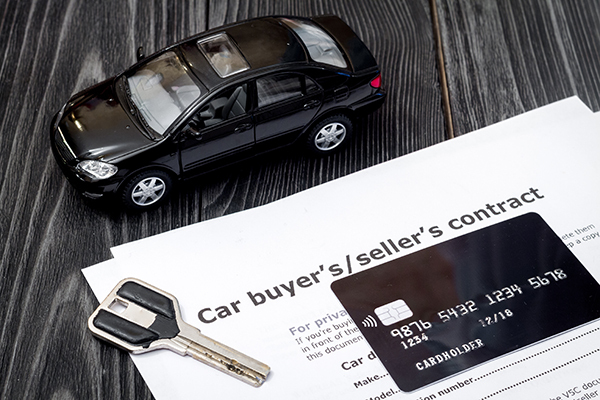 Shoppers who need to finance new vehicles employ auto loans, whereas those who need a short-term loan use their cars as collateral for car title loans. Learn more about how auto loans differ from car title loans below, and when to consider each option. An auto loan is a type of loan that a car buyer enters into in order to finance a vehicle. Lenders that provide auto loans are typically financial institutions that specifically lend money to car buyers. Auto loans are profitable for lenders, because they are able to collect interest in the process. In addition, many car buyers take out auto loans for five years or more, which is easy money in the lender’s pocket. Oftentimes, car buyers end up paying their lenders a lot of extra money through the auto loan process due to interest over extended periods. The team at Car-Registration.org suggests car buyers make a large down payment to ensure the best deal. When do I consider an auto loan? You should only consider an auto loan when you select the car you wish to purchase. However, the experts at Car-Registration.org encourage you to consider several factors prior to taking out an auto loan. First, you must determine if your credit is in good standing. If so, you can expect a low interest rate on your auto loan. Next, you should assess if you have the financial means to put down a sizable down payment on your car. If so, you can take out a shorter and less expensive auto loan. Auto loans are great if you are the right candidate. If not, they can wreak havoc on your finances and your vehicle investment. The worst-case scenario is that you go upside-down on your loan, when you end up paying more for your car than it is actually worth, because your interest rates are exceptionally high or because you extended the terms. Make sure to do your homework prior to taking out an auto loan. Car title loans are typically short-term loan transactions that occur when vehicle owners need to borrow money. Car owners will file applications for car title loans with lenders, who will take possession of car titles as collateral. These types of loans are typically short-lived, because lenders require payment back within a month. If you do not pay your car title loan back within the set period or according to the terms of your contract, the lender can take possession of your car. The team at Car-Registration.org suggests never entering into this type of loan if you know that you cannot pay it back within the allotted time. When do I consider a car title loan? You should consider a car title loan if you need a small amount of money for an immediate purpose that you know you can pay back soon after. Car title loans are typically not available on currently financed vehicles. If you are unable to pay back the loan in the specified period as contracted, you will lose your vehicle. If you need your car and fear lenders will possess it as collateral, the experts at Car-Registration.org encourage you to consider other types of short-term loans from your bank, credit union, credit card company or friends and family members.